No ball has caused such a stir in recent years. Each restock of the Kirkland Signature caused a stampede of sales, leading to stock issues and frustrated golfers. Costing some $15 (£11.94) per dozen compared to £50 per dozen for Titleist Pro V1s, golfers clamored to get their hands on what Costco - who sell the ball - were billing as one of the best performing balls on the market. But the burning question is how does the four-piece ball with a urethane cover stack up against premium balls on the market? We played multiple rounds at the Shire London, spent time on the range with SkyTrak, and hit the short game area to see how the Kirkland Signature performed compared to the Titleist Pro V1 - the most popular premium golf ball. It looks like a premium product. The black/red writing is classy, and the finish is as you would expect. On full shots it has a soft feel that is superb, thanks to the urethane cover - you will not notice a difference when compared to other premium balls. However, around the greens and with putter in hand, the Kirkland has a slightly less appealing feel - a tad less responsive overall. Only better players will notice this, however. Looking at distance both with the launch monitor and on the course and range, there is little difference compared to a Titleist ProV1. Spin rates on long and mid irons were also comparable. The Kirkland Signature provides decent distance, and importantly it is consistent in its yardage. Around the greens, the Kirkland Signature golf ball offers decent levels of control. We were able to put spin on the ball and check it with ease, but we did have to work harder than with the Titleist Pro V1. The big difference is regarding durability - the Kirkland Signature scuffs and cuts faster and more easily than the Titleist Pro V1. We found a Kirkland golf ball lasted on average roughly one round before it needed replacing. In terms of value for money, the Kirkland Signature blows everything out of the water. You’re getting distance and full shot spin and feel comparable to a Titleist Pro V1. Spin and feel around the greens is not quite the same, and durability is definitely not as good. However, if you always lose a ball every time you play, durability isn’t really an issue! 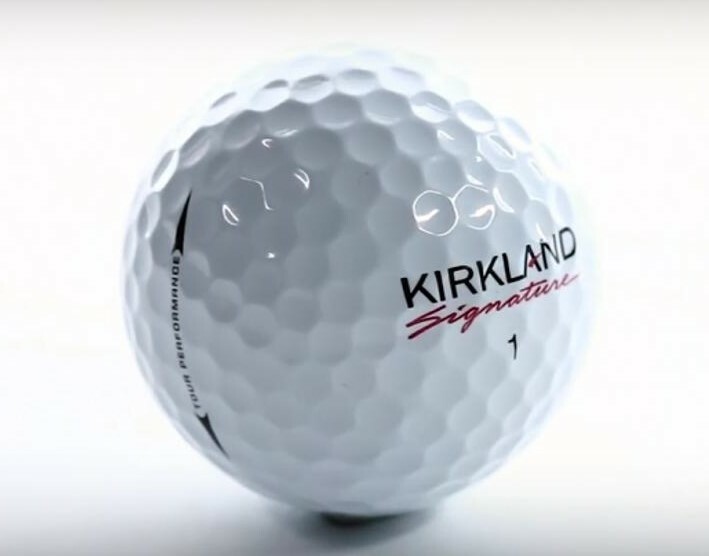 The Kirkland Signature is a high performing ball at a ridiculous price, and is befitting of the massive hype surrounding it.